We as a nation better take heed to what we are doing. My country is now becoming an abomination in the eyes of Adonai of the Torah and Tanakh. We have thrown away our Torah and Tanakh principles in favour of Hedonism. Adonai is giving us a very stern warning repent change your ways or MY wrath will come down upon you hot and heavy. Adonai loves us so much that HE is showing us through signs and wonders what will happen to us so please think, change your mind and then return to my word as your guiding principle not secular humanism and the false dream of achieving Utopia through man’s forced ways. Only Adonai can create heaven on earth not man. Man has tried since Adonai kicked Adam and Eve out of the Garden of Eden. See Genesis Chapter Three. Adonai will protect HIS people from the impending Hell that is about to be sent our way. What I mean by Adonai’s people is first Israel- We Jews and all of believers in Yeshua. Yet one will argue if Adonai loves us then why will he let all of this evil happen to us. This is a hard question to answer and what I am about write will not make any sense. A loving parent will not let a child run wild and do what they want to do. A loving parent will correct their child and thus give them a deterrent to stop them from doing bad. My father always told kid there will always be consequences for every action you take whether it is good or bad. Adonai loved David so much that HE had to correct David for his contract hit on Bat-Sheva husband Uriyah. David has him killed to cover up the affair he had with her. Adonai always told David you are a man after my own heart but you will suffer the consequences of your actions. These consequences were David’s son born to Bat-Sheva would be born dead. You family would be turned against each other. You kill your own son. You would not built the temple in Yerushalayim. Yes David lost a ton but Adonai rewarded David with a promise that one of his sons would sit on his throne forever. This is Yeshua. See John One. Through Adonai’s love he gave David a reward that was not deserving. This is what Adonai does for us. HE gave us His son Yeshua to die for our sins so we can live forever with my Father in heaven. Do I deserve this? NO! Yet Adonai loves us and HE will give us HIS blessings and grace any way if we repent. My people the Jews went against Adonai’s word and teachings. Yes Adonai scattered us across the face of the earth for well over two thousand years. Adonai made a covenant with Avraham that HE would lead us to and give to us The Promised Land. Adonai gave us the nation of Israel on May 14th, 1948. We didn’t deserve this yet Adonai kept His covenant with Avraham. See Genesis 10-15. The Drudge Report on Saturday February 8th. A senior Iranian naval commander says his country has sent several warships to the Atlantic Ocean, close to U.S. maritime borders for the first time. The commander of Iran’s Northern Navy Fleet, Admiral Afshin Rezayee Haddad, is quoted by the official IRNA news agency as saying Saturday that the vessels have already begun the journey to the Atlantic Ocean via waters near South Africa. Iranian officials said last month that the fleet consisted of a destroyer and a logistic helicopter carrier, which will be on a three-month mission. Haddad says the fleet is approaching U.S. maritime borders for the first time. The Islamic Republic considers the move as a response to U.S. naval deployments near its own coastlines. The U.S. Navy’s 5th fleet is based in nearby Bahrain. 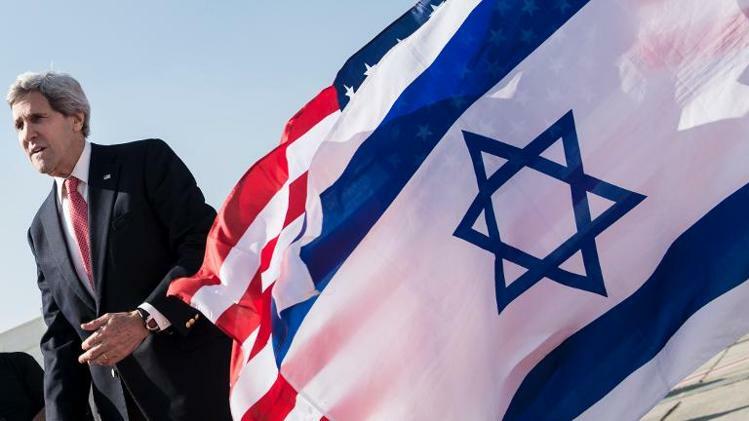 The Jerusalem Post- Iran’s Supreme Leader said on Saturday the United States would overthrow the Iranian government if it could, adding Washington had a “controlling and meddlesome” attitude towards the Islamic Republic, Iranian media reported. In a speech to mark the 35th anniversary of the 1979 Islamic revolution, Ayatollah Ali Khamenei, the most powerful figure in Iran, added that officials seeking to revive the economy should not rely on an eventual lifting of sanctions but rather on home-grown innovation. But he reiterated that in dealing with “enemies”, Iran should be prepared to change tactics but not compromise on its main principles. Khamenei’s comments about hostility reflect his long standing animosity towards the United States, seen as the arch-enemy by Iranian authorities. The United States and Iran have had no official ties since 1980 after Iranian students occupied the US embassy in Tehran, taking 52 diplomats hostage in protest against Washington’s admission of the former Shah after he was toppled by the Islamic revolution. 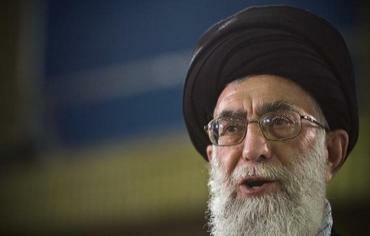 Iran says its nuclear program is peaceful and that it is Israel’s alleged atomic arsenal that threatens peace. Western powers suspect that the program is a cover for pursuing a nuclear weapons capability. This has to stop! My country is attacking and joining forces with the Muslims to destroy my people Israel-The Jews. Adonai has warned us that those who attack and destroy my people Israel The Jews will become my enemy. This is a Torah principle. Adonai is our great protector. Many have tried to wipe us Jews off the face of the earth and we are still here. Adonai returned us to our Promise Land Israel. Adonai’s word wrote that the nation of Israel would be created in one day. This was after Adonai scattered us throughout the earth. This happened May 14th 1948. Isaiah 66:8 Who ever heard of such a thing? Who has ever seen such things? Ezekiel 37:21 “ 21 Then say to them that Adonai Elohim says: ‘I will take the people of Isra’el from among the nations where they have gone and gather them from every side and bring them back to their own land. Kerry has been criticized by Israeli leaders over recent remarks in Munich suggesting Israel could face international boycotts if it failed to reach peace with the Palestinians. Many Israelis consider threats of boycotts antisemitic, since they are addressed only at the Jewish state. None accused Kerry directly of antisemitism, though that seems to be how the White House interpreted the criticism. Kerry’s recent gaffes have also earned him harsh criticism from Palestinians, including a threat to take him to the UN’s International Criminal Court over a perceived threat to kill Palestinian President Mahmoud Abbas. However, Rice’s tweets were directed only at Israel. Adonai of Avraham, Yitz’chak, and Ya’akov will protect us and destroy our enemies. 2 Chronicles 20:28:31 28 They came to Yerushalayim with lyres, lutes and trumpets and went to the house of Adonai. 29 A panic from God was on all the kingdoms of the countries when they heard that Adonai had fought against the enemies of Isra’el. 30 So Y’hoshafat’s rule was a quiet one, because his God gave him rest all around. Psalms 88 0) A song. A psalm of Asaf: 2 (1) God, don’t remain silent! 9 (8) Ashur too is allied with them, to reinforce the descendants of Lot. 14 (13) My God, make them like whirling dust, like chaff driven by the wind. 16 (15) drive them away with your storm, terrify them with your tempest. 17 (16) Fill their faces with shame, so that they will seek your name, Adonai. 18 (17) Let them be ashamed and fearful forever; yes, let them perish in disgrace. We are on the wrong side and we better repent and change our actions for Adonai will have the final word. And we won’t like it. 2014 brings in the Blood Moons. When the Blood Moons have happened these have signaled some wild and crazy events for my people Israel The Jews. Many wills scoff at this yet when one delves into this one will see Adonai’s hand in these events. Pray 4 Zion -”The Jewish Talmud (book of tradition / Interpretation) says; “When the moon is in eclipse, it is a bad omen for Israel. 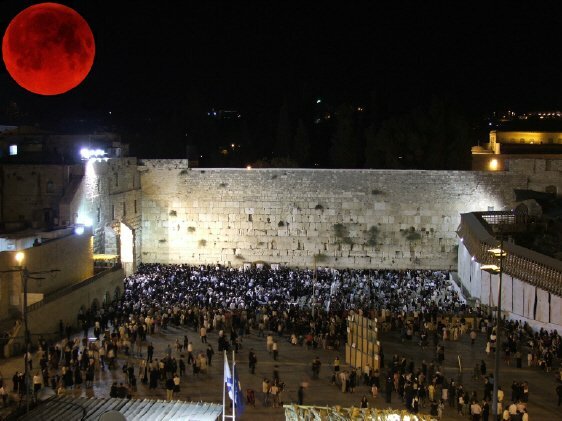 If its face is as red as blood, (it is a sign that) the sword is coming to the world.” Therefore: Lunar Eclipse = bad omen for the Jewish people and Israel; Blood Moon = sword coming; Solar Eclipse = bad omen for the world. Pastor John Hagee discussed this very fact on Fox News. 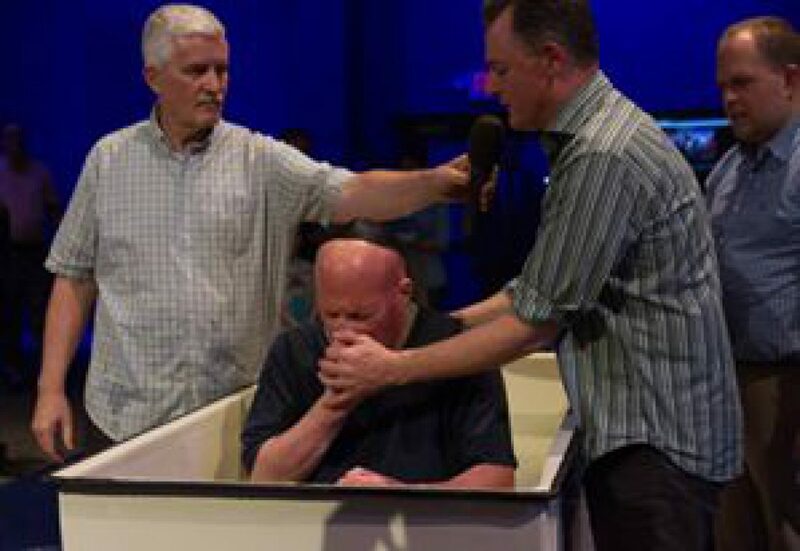 Pastor Hagee told Fox News-“This is something that just is beyond coincidental,” Hagee told Fox. He explained that the prophecies in the Bible note that when the sun refuses to shine – and a solar eclipse is expected in the 2014-2015 time frame – and the moon will be turned to blood, then man’s redemption draweth near. We have to put this in a historical perspective. When these events have occurred during the Jewish Passover and The Feast of The Trumpets Holidays events happened to shape the history and lives of us Jews.“ 1493-94 Only months after King Ferdinand and Queen Isabella of Spain ordered all Jewish people to leave the country (after about 200 AD, Spain became and remained a second Jewish homeland for well over a millennia. So deeply woven into the fabric of Spain are the Jews that neither history can be fully studied without considering the influence of the other). “In the same month in which their Majesties (Ferdinand and Isabella)] issued the edict that all Jews should be driven out of the kingdom and its territories, in the same month they gave me the order to undertake with sufficient men my expedition of discovery to the Indies.” So begins Christopher Columbus’s diary. Four TOTAL lunar eclipses occurred on the Jewish Passover and Feast of Tabernacle in 1949 – 1950 during the 1st Arab – Israeli War for Independence just after Israel had become a nation again for the first time in 2,000 years. It should be noted here: that even though Israel declared themselves a nation in 1948, the first permanent government took office on January 25th, 1949. Israel had a transitional government in 1948. In this way the “(Tetrad) four blood moons” can tie to the year 1949 for the first elected office of that year and the birth year could still be 1948. On 14th May, 1948 – Israel proclaimed its independence. Less than 24 hours later, the regular armies of Egypt, Jordan, Syria, Lebanon, and Iraq invaded the country, forcing Israel to defend the sovereignty it had regained in its ancestral homeland. In what became known as Israel’s War of Independence, the newly formed, poorly equipped Israel Defence Forces (IDF) repulsed the invaders in fierce intermittent fighting, which lasted some 15 months and claimed over 6,000 Israeli lives (nearly one percent of the country’s Jewish population at the time). Four TOTAL lunar eclipses occurred on the Jewish Passover and Feast of Tabernacle in 1967 – 1968 coinciding with the 6 Day War when Israel recaptured Jerusalem. As Israel’s neighbours prepared to destroy the Jewish state, Israel invoked its inherent right of self-defence, launching a pre-emptive strike (5 June 1967) against Egypt in the South. These four Blood Moons will happen in 2014-15 between The Jewish Passover, The Feast of Tabernacles, and The Feats of Trumpets so what is Adonai trying to tell us?